Donald Trump bought the property, which included the estate of automaker John Z. De Lorean, for less than $35 million in 2002. It was previously known as Lamington Farm and the site of a foundering golf course construction project. The 36-hole club was built by golf course architects Tom Fazio and Tom Fazio II, and the first course opened fourteen years ago in 2004. Membership in the club costs at the most $300,000 In 2005, Golf Magazine ranked it at #73 in the United States and #84 by Golf Digest for 2005 and 2006. 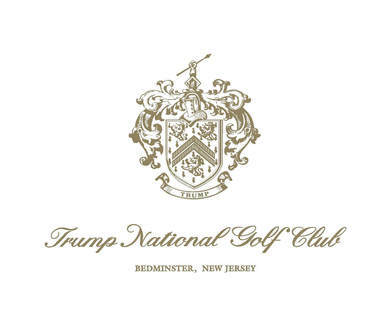 For tax purposes, The Trump Organization secured a classification of the Bedminster course and the Trump course in Colts Neck as farmland. For that purpose, part of the acreage at Bedminster is used for growing hay and raising eight goats. The Wall Street Journal estimated that the use of the property tax exemption for farmland reduced the tax bill on the two golf courses from $80,000 to less than $1,000. The director of the New Jersey chapter of the Sierra Club said that Trump was "hiding behind a farmland assessment to get a massive tax break on a golf course."